When talking about making a memorable first impression, your face is most likely the body part that people will notice first. Did ever occur to you that facial exercises are equally important as physical exercises? The answer to that may vary. If you are woman, then probably you have question yourself before, how to achieve a slimmer face? How do models do it? But let’s be honest here, women and men alike, want to look their best and feel full of confidence without having too much fat around the face. You may have notice that your cheeks are too chubby or that you have a fat face. Or, maybe is that excess of fat under your chin what’s been bothering you. But we hear you and we are here for you. 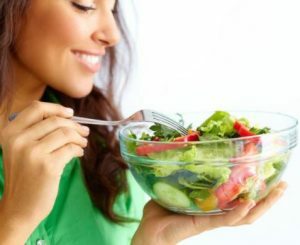 Check out below our top tips that are proven to help you in your struggle of losing weight in your face. 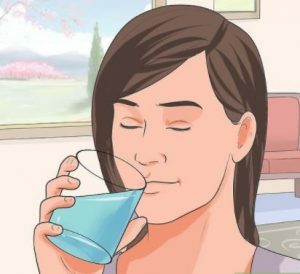 Drinking more water may help to give your face a thinner appearance. This will look like you lost weight from your face. Drinking plenty of fluids helps to prevent the negative consequences of dehydration. If your body is dehydrated, it starts to store fluids which can lead to swelling around your joints and face. Believe it or not, drinking water actually reduces water retention. One way to know if you are drinking enough fluids is to check the color of your urine. Here are some great facial exercises that can help your face have a more toned appearance. To tone the muscles around your mouth, say X and O in a row. This exercise makes your facial muscles contract and move. Do this exercise daily, repeating it as many times as you can. Help get rid of chubby cheeks by toning your cheek muscles. All you have to do is make a fish face by sucking in your cheeks. Repeat a few times every day for best results. Get all your facial muscles working by opening your mouth widely and roundly. Hold the position for a few seconds and relax. To help tone your muscles on your face, repeat 30 times a day. Fill your mouth with air so that your face looks fat and round. Keeping your lips closed, move the air in your mouth from side to side. Do this for a few minutes a day. 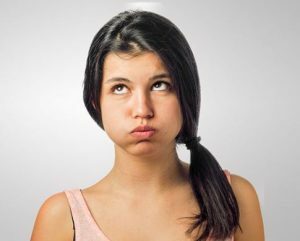 Chewing gum is a great exercise for your face to help keep your facial muscles toned. Choose a sugar-free gum. Too much salt has the same effect on our face as dehydration – it causes water to accumulate in the face making it puffy. Where possible, don’t eat processed, packaged food or fast food. 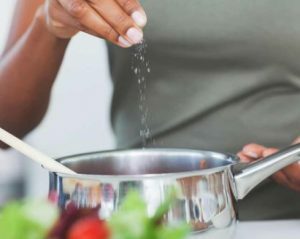 Avoid adding extra salt to your dishes – instead try seasoning with herbs or spices for flavor. It may seem bland at first but you will get used to it after a few weeks and your face will look slimmer. You have probably been hearing this since you were a kid, and you know what; you should’ve listened. 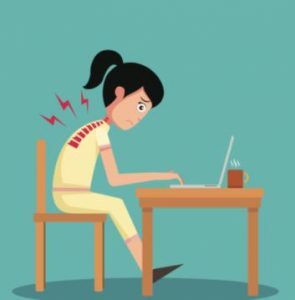 Try to stand and sit with your back straight and your chin raised. Not only will it make you appear more confident, it will banish the double chin when you are being photographed. Do not bellow your face down while talking or walking. This can make the fat get stored in your chin area. There is a reason why it’s called ‘beauty sleep.’ Sleep deprivation can make you look more bloated and can affect the appearance of your face. Also, not getting enough sleep (around 7-9 hours a day is recommended for adults) causes you to eat more and crave unhealthy foods due to the hormonal imbalance that sleep deprivation causes. If your facial fat is a result of being overweight, you should start on a diet to help lose excess fat. The good news is that facial fat is often the first to go. You will need to consume slightly less than your body needs so that it will burn fat for energy instead. Calculate the number of calories your body uses in a day. You should have a deficit of 500 calories per day to lose 1 pound a week. 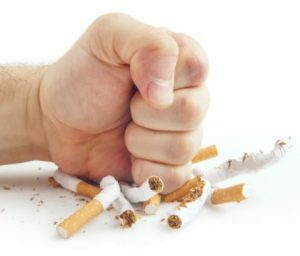 We all know that smoking is bad for you. But, it is also bad for your skin and the appearance of your face because it makes skin age faster. Smoking-related fine lines can contribute to an impression of facial sagginess.